What is Peak Performance in Sports? 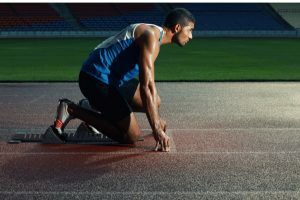 Determination, self motivation, and effort are essential for an athlete to obtain their peak performance in their sport, but research has proven these behavior strategies is not enough. Three main sports psychology attributes are modifying beliefs, rewiring conditions, and adjusting perceptions. The first image that comes to many people’s minds when they think of a professional athlete is their image, mainly their physical build up and their abilities to produce winning results. This is obviously the dream of many professional athletes, however, there is more to it than just being able to be the fastest runner in a competition or shoot the most hoops in basketball. Sports psychology plays an important role in the life of any serious professional athlete, especially if they strive for peak performance. Many athletes are driven by their strong beliefs that they hold on to which are developed from their core values. This is a great thing to have being that this can help provide self motivation for the athlete, however, sports psychology suggests that the most important part of having beliefs is to distinguish between reality and fantasy. It’s one thing to have a belief, but if the athlete doesn’t have the strength to accomplish the goal they set out for, it can become overwhelming, stressful, and very disappointing. Reviewing one’s beliefs and making realistic goals is the best way to keep the mind motivated and accomplishing a goal. Sports psychology also teaches athletes that rewiring conditions and understanding any obstacles in the way of obtaining peak performance is essential to the success of the athlete. An important step in improving sports psychology conditions is to recognize the obstacles that stand in the way of achieving a goal and unblock any off-putting thoughts that might prevent the athlete from bringing their A-game. Understanding one’s perceptions, like when the player takes failure too seriously, is also an important aspect in sports psychology to recognize. Realizing how one acts when failing to make their team proud and not taking the blame too seriously can better prevents future upsets and disappointments. It is indeed a great idea for athletes to speak to a professional sports psychologist for help in order to improve their beliefs, conditions, and perceptions. Any athlete interested in achieving peak performance shouldn’t be afraid to explore alternate beliefs and perceptions to maintain conditions and make a star athlete out of themselves, both physically and mentally.